Hi guys, It’s quite long time that I haven’t update any food promotion right? I’m really sorry since recently I’m busy with my work. 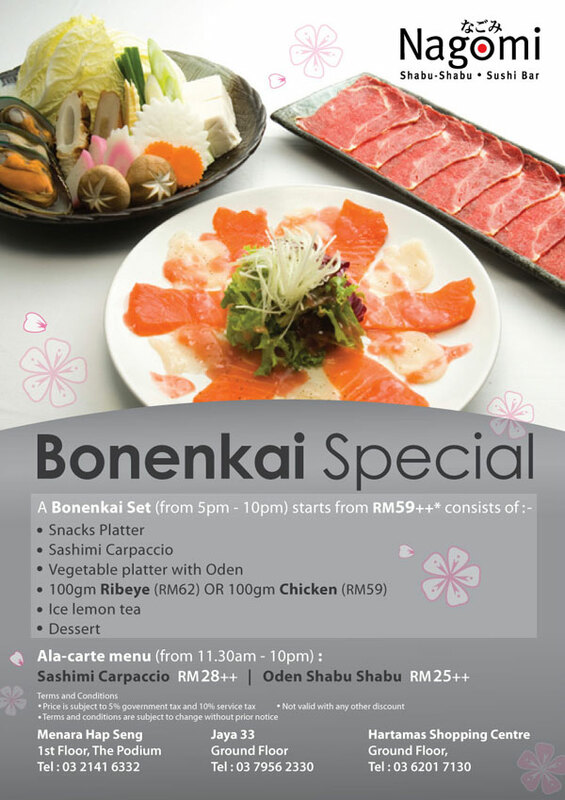 Nagomi Shabu-Shabu Sushi Bar came out with the latest promotion… Bonenkai! is a Japanese drinking party that takes place at the end of the year, and is generally held among groups of co-workers or friends. As its name implies, is to forget the woes and troubles of the past year. 1st Nov 2009 until 1st Jan 2010.